Is it a bird is it a plane? Is it a Beard oil, is it a Cologne, Penhaligon’s Sartorial Beard Oil has the looks and according to the wife, it has the scent of a high class cologne! 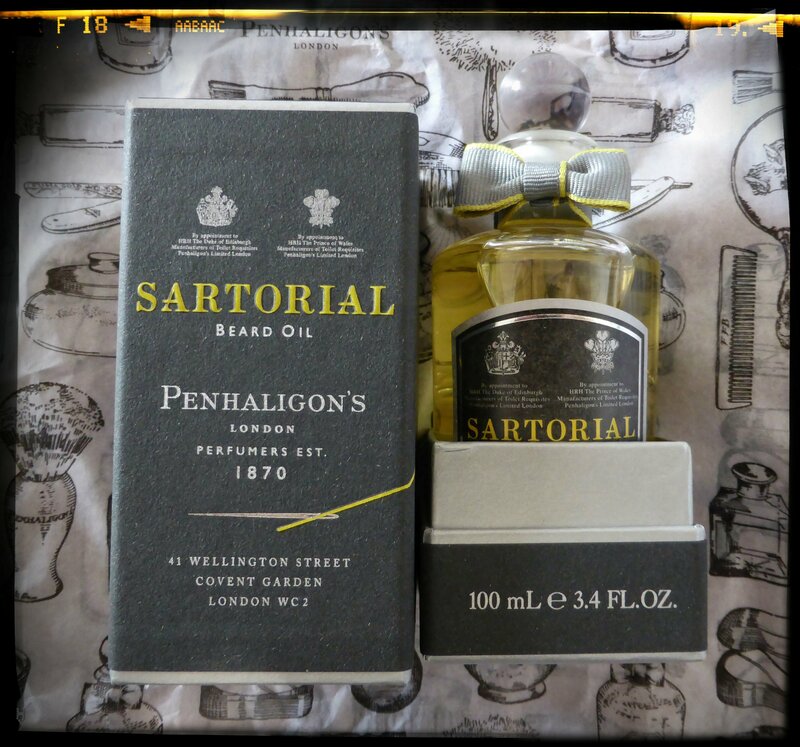 From the outset Penhaligon’s Sartorial Beard Oil makes an impression, presented in a two piece box it has the feel of a top brand cologne. The bottle itself will look right at home amongst your colognes on your dresser, you just have to admire the quality of this product. I always ask my wife what she thinks about the beard oils, she has the ability to pick out the various scents that make up an oil. I also like to know what a woman thinks of the oils, after all we have to keep our ladies happy. My wife has occasionally said that a beard oil is nice, we were laid in bed and she kept on saying how nice Penhaligon’s Sartorial Beard Oil is. “it smells like a man should smell” she said last night as I was just drifting off to sleep! I actually couldn’t have said it better myself, I imagine that this oil would be perfect for those occasions when you get suited and booted. Of course no matter what the occasion or even if it’s just an ordinary day, Penhaligon’s Sartorial Beard Oil will make you and your beard feel good. Penhaligon’s Sartorial Beard Oil left my beard feeling and looking good, it gave my beard a good amount of hold the scent lasted all day, in fact one night I was feeling unwell and so I didn’t wash my beard before bed, my wife remarked how she could tell I had applied some of the Beard oil and she was surprised when I said I hadn’t, it was from that morning. Now I am a firm believer in all natural beard care but even though this oil isn’t, I just love it and so does my wife! Sartorial is the perfect name for this Beard oil, it has class and it has that feeling of style, from its branding to its fragrance this Beard oil has that sense of elegance. A beard oil that wouldn’t look out of place in a palace or on a bathroom in a bedsit. Penhaligon’s Sartorial Beard Oil contains sunflower, grape seed and wheat germand comes in a 100ml glass bottle with a glass stopper, it can be purchased from Penhaligon’s website or one of their stores for £46. It can also be purchased from other online stores.